Have you ever wondered how people make those fun personality quizzes? You know the kind…”Which type of dog are you?” or…”What color has your aura?” So, how to make a personality quiz? Well, in this article we’re taking an in-depth look at personality quizzes and how you can make one on your own. Are you ready? Let’s get started! So what is a personality quiz exactly? Just for good measure, I’m putting this (boring, but good) definition in. A personality quiz is a series of questions (preferably multiple-choice) designed to reveal something about the respondent. 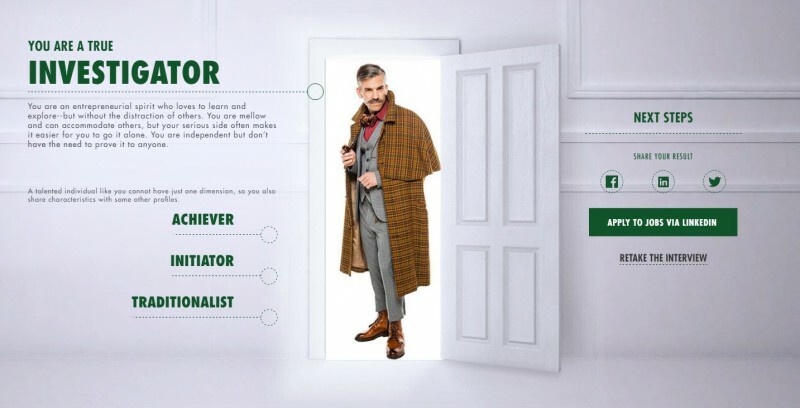 What is it about these personality tests that make them interesting for you, as a brand, to use them in your marketing? A Personality Quiz is a great way to create a personal content experience for your readers that’s truly all about them. Quizzes give you the chance to reveal something interesting or surprising about each of your readers that will make them want to share their result with their peers. This means that the results you create in your Quiz are an ideal medium to communicate your message to your readers packaged in a revelation about them! We are all trying to make sense of our lives and we are all asking the same questions: Who am I? Who do others think I am? And who do I want to be? Personality quizzes help to answer those questions, in a fun and not likely scenario, but it helps to get to know ourselves and to discover the “who’s” in our personal story. Time to (finally!) get down to business. So, how to make a personality quiz? Here’s the rundown on how to actually build one! First things first, you need a topic. There are a lot of personality quizzes out there, so you’ll want to make sure your topic stands out. If your title makes people smile, you’ve made a great start! Just make sure it isn’t a snooze fest. Don’t use archaic language and keep it enjoyable and light. Now okay, my example isn’t that light, but…it’s kind of fun, no? I couldn’t agree more. You can have the best title in the world, but if it doesn’t activate people to check out your quiz… So better check with someone to see if you’re on the right track. people have become more prudent to participate in quizzes. It’s not wrong to collect personal data from your audience, but it is important to clearly communicate what you will be using the collected data for. State that you’ll use the data for internal purposes only (for example “to deliver a better service”) and that you will not share the gathered information with 3rd parties. … Only if this is the case of course! If you have other plans, be transparent about what you’ll be doing with the responses. Allow people to opt-out from your communication at any time. When you’re writing your questions. Use someone, preferably a teenager, to read them and watch their reaction. Teenagers are kind of a hard crowd to please. Add to that that they know the lingo and what’s hip and trendy. You’ll always benefit from asking a teenager to read your quiz questions. Additionally, it’s a good check for you to make sure your use of language isn’t too difficult. If your test-respondents smile or act pleasant, you’re on the right track. If they aren’t you might have to rethink your questions. Rewriting your quiz is a big part of the process. Don’t settle for your first version, just try again and adjust. Doug Villhard’s Tips on building Great personality quizzes were a big inspiration. Below you can find my take on them. Use fun interjections to liven up your quiz! It’ll help you make the content feel more like a human conversation than just a list of questions. Check out our Interjection list for some great examples, ooooooooh yeah! You can add as many questions as you want to, but be careful. You don’t want your respondents to quit halfway. The ideal number of questions is 7. With fewer than 7 questions, the quiz doesn’t seem like much of an experience. It’s like a rollercoaster. The ride itself can be fun, but if it’s a short one…you’ll always end up a bit disappointed. More than 7 quiz questions, on the other hand, will soon feel like a drag. You’ll want to get to the end already, just like being really hungry at a restaurant and the food just isn’t arriving. So, try to figure out what bests suits your target, what gets you the information you’d like to collect AND what helps you calculate the results of your personality quiz. The most important questions are #1, #2, #3 and #7. The first 3 will grab the user’s attention, if they love those then you can be sure respondents are hooked and will finish the quiz. The 7th one (or the last one of the bunch if you have a few more or less) is the cherry on the metaphorical cake, you need to make this one special. The ideal number of answers is 4. Like everything in life, sometimes it comes down to the small things. Like the layout of your quiz screen. This is where this tip comes in handy. 4 answers are perfect because they line up nicely in one row or stacked on your computer and on your phone. It gives your layout a crisp look that helps you to be consistent. Consistency will help guide your respondents through the quiz more easily as it helps them find their rhythm. Provide a distinct difference in answers. This is unlike an assessment or test, where you want to stimulate the respondent to think. In a quiz, you want to make it easy.You know, so they can find what suits them best, really really quick. Maybe use a scale to measure out your answer options, like an extreme one, one average, one mild one and one for someone who may not be interested in the topic. When you see someone cute on the street. What do you do? a) Hide behind the bushes. b) Introduce yourself and make small talk. d) Ask them to marry you. Did you know it’s best to use one-word answers? The next best thing is a 2-4 word phrase. If you do have to write a longer answer, make just one answer in the set like that, and make it the last answer so it doesn’t slow the respondent down. The best answers include photos. Why? Because it’s easy and people love visuals. It helps them recognize themselves in at least one of the answer categories. Don’t forget: A picture says a thousand words, so keep this in mind when making your quiz. If you create a quiz where people are going to find out which movie star they are. They expect to be a Brad Pitt or a George Clooney, not that one b-list actor in that indie film from a decade ago. But what is “narrative psychology”? It’s the theory that humans make sense of their lives by organizing events into stories that fit together over time, it’s like creating our own “biographies” to help explain who we are and where we come from. !Tip: Just like in your answers, nice (high-quality) images work best for your personalized quiz outcomes. People love sharing nice looking stuff, even when it comes to quizzes. There are lots of tools out there that allow you to do that. One that lets you get started for free is even better, right? 😉 Just use our Design your Questionnaire Guide and get started in Survey Anyplace. How many outcomes should you have? The ideal number is between 6 and 9. Just be careful, the more outcome possibilities, the harder it gets spreading the weights amongst the answers. You definitely need to test out your outcomes, so every one of them has a chance. Make your outcomes distinct. Making sure you have a whole spectrum of possibilities. If you’re doing a quiz about “Which hamburger are you?”, don’t give the options “Big Mac” or “Big Mac Junior”, but use the whole burger spectrum. Throw a Whopper in there and maybe even one of those KFC burgers. Add a positive description. Create a story around your outcome. Take the time to add a positive message and provide a fortunate outcome. For example, the hamburger quiz. If your respondent is a gourmet burger, you can say it’s because they are a classy burger with a lot of freshness. (Not really sure where I wanted to go with this one, but you get the point). Scoring your quiz is definitely not the easiest task on the list, but we have an article on this! Just go to our Quiz scoring guide and we’ll give you the 411 on Quiz scoring. Want to kick it up a notch and work on custom scoring, just go on and read more in our Custom scoring guide. Now peeps, it’s time for putting this quiz tips in action! Are you ready for it? Go and check out my example quiz! Go here for more tips on how to make a personality quiz. Did you know that…quizzes smash traffic records and generate more Facebook comment threads than any viral post in Facebook history? Kind of impressive if you can do that with your brand, right? Just imagine the amount of awareness this can create for your company! People are more willing to trade their mail address if they get something in return. If they can take part in an experience, which they can later share on their social media. This can definitely result in an increased lead generation, useful links and a larger amount of traffic to your website. 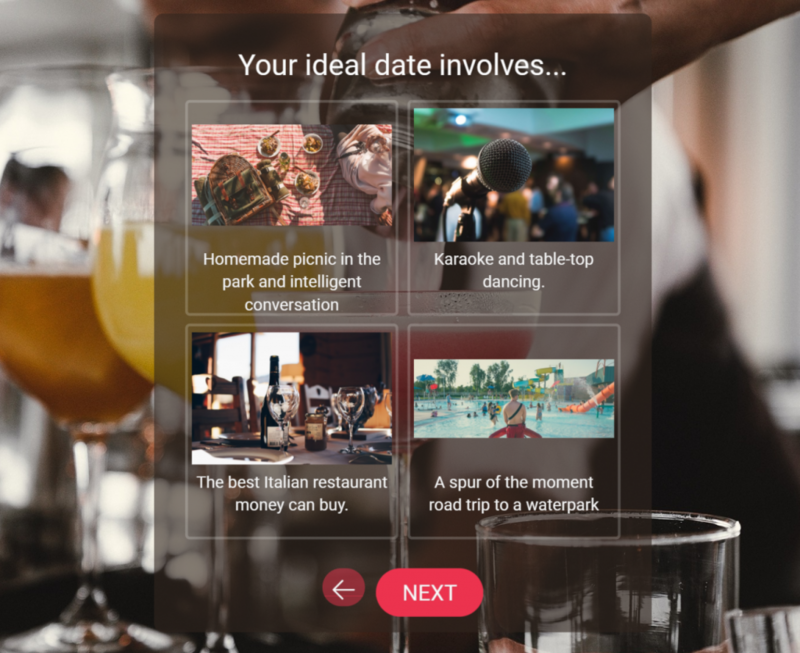 Quizzes are highly customizable and more relevant for your users than any other form of content. Increasing personalization by adding items like fully customized reports will increase the perceived value of your content tremendously. For example: you can create a personality quiz about “How accomplished are you as a digital marketer?” A personal report with their scores and additional insights will help them along and increase your status as an expert on the topic. Read more on this, in our blog post on Personalized assessment reports. The average human attention span has fallen to 8 seconds, interactive content helps keeping users involved and holds their attention. Increasing the chances of them remembering your content for a longer period of time. Interactive content can help you stand out, increasing positive associations. People will remember you longer. 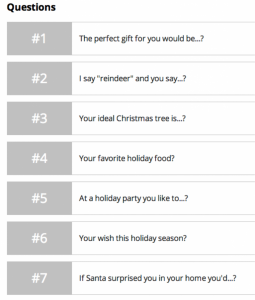 Quizzes that have a positive affirmation in their outcome will help users to become more loyal to your brand. One real life example I like is the Knorr “What’s delicious for you”-profiler. When you take the quiz, you get your outcome and an overview of all the products you might like from the brand. Kind of cool, it’s an easy way to discover new products (from a consumer perspective) and a great idea to showcase your complete assortment to customers, who can go from occasional buyers to loyal buyers. Interactive content that captures a user’s attention can make them provide you with more relevant data that can be used to create targeted and useful content in the future. It can even open up a door or window for you to swoop in and contact them with more information later on. Get them in that sales funnel! A successful interactive campaign can help you convert your audience from knowing about the brand to buying from the brand. Adding a small incentive (like a 10% discount) helps in lowering the threshold. For example: As a company, you may be selling an ebook on bettering yourself as a content writer. Combine with a quiz where users discover what type of content writer they are, pointing them towards tips from the book that are highly relevant based on their scores. Instantly showing the ebook value! Add a small discount on buying the book at the end of the quiz and you’re all set! Want to know more, just read this article on using interactive content in marketing. Using quizzes can add a fun and cool edge to your marketing campaigns. They can really boost engagement and can create a lot of awareness. Here are some good-to-know insights on how beneficial interactive content and personality quizzes can be for your company. For more information, you can check the other Statistics from CMI. Interactive content is a fast growing trend in content marketing. It’s providing great results and insights for people who leverage it correctly. Again, there are lots of ways to create interactive content, but I think that online quizzes are one of the easiest and most accessible ways to do it. 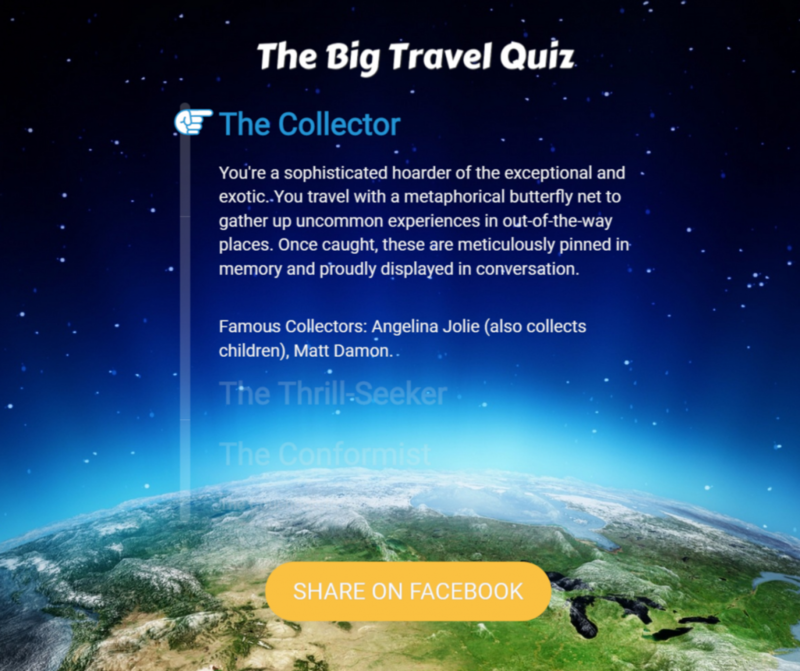 Sidenote: Can your Facebook page benefit from a customized personality quiz? Well, a quiz can bring you the viral effect and instantly boost your engagement levels. Quizzes are 40 times more likely to be shared on social media networks. Crazy, right? 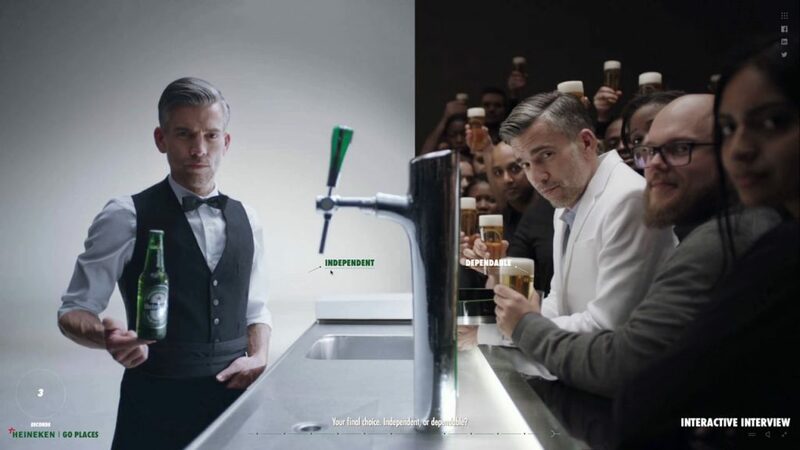 The Heineken Go Places is one of my favorites because it uses an outcome quiz that invites potential prospects on an interview, where they are led through a Heineken Neverland and asked to answer 12 spit-fire questions in under five seconds each. At the end of the quiz, a personality assessment is offered to the viewer and can be easily shared on their social media. Try mixing business and pleasure and create your very own personality quiz. I had a lot of fun doing it, so you definitely will too! Do you think we missed any tips or do you have some experiences with how to make a personality quiz, you’d like to share? Let me know in the comments.